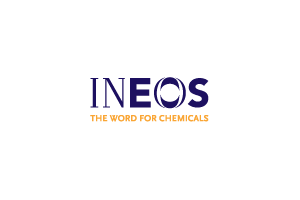 The ABYSS ASG® Portable Syngas Analyser (NDIR and TCD) series is specially designed for continuous and simultaneous monitoring of primary syngas constituents CnHm, CH4, CO2, CO, O2 and H2. 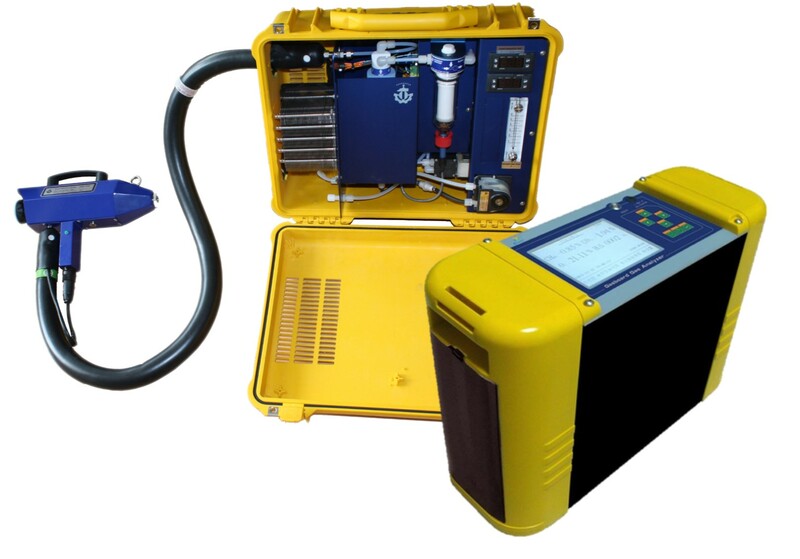 Fitted with on board BTU calculation, the ABYSS ASG® Portable Syngas Analyser syngas fulfils the requirements of medium to large scale coal or biomass gasification or pyrolysis, off-gas from steel and iron plant, Blast furnace, Coking, Converter, Direct Iron Ore Smelting Reduction, Endo & Exo Gas Generators for heating treating. 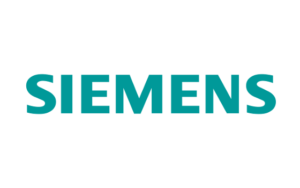 It is based on the micro-flow type non-dispersive infrared (NDIR) method for CH4 and CO, CnHm, CO2, and uses a Thermal Conductivity Detector (TCD) for H2 and O2. 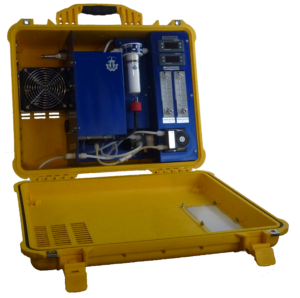 The ABYSS ASG® Portable Syngas Analyser is housed in a robust and compact enclosure and offers a large variety of features such as on-board BTU calculation and a built-in sampling pump, calibration valves and printer. 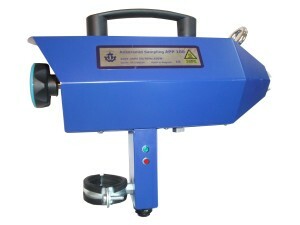 An automatic built-in gas diluter reduce instruments recovery time in case of high and unstable gas concentrations. 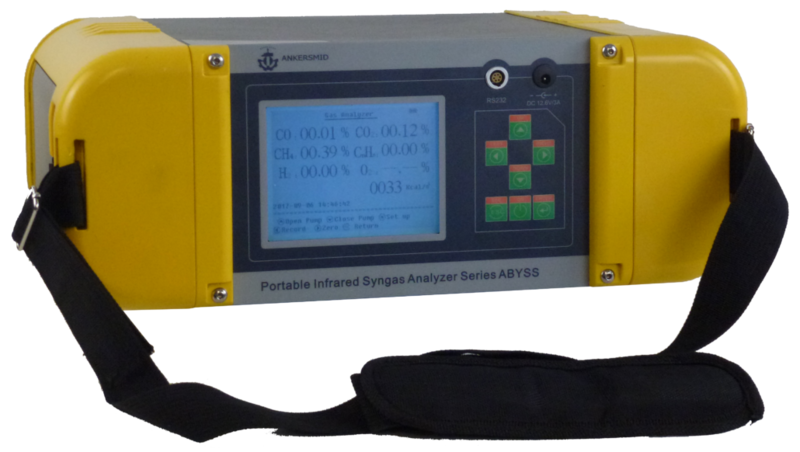 The ABYSS ASG® Portable Syngas Analyser analysers are built, calibrated and factory tested in Belgium and certified C.E. by Ankersmid Sampling BVBA.